Pretty 14k Gold design engraved wedding band. This wedding band measures 3.2mm wide and is available in whole and half sizes. Engraved design is continuous. Order in 14k Yellow, White, or Rose gold. Special Order in Platinum. Breathtaking 14k Gold Sculptural-Inspired wedding band. This wedding band measures 7mm wide and is available in whole and half sizes. Scroll design is a continuous design. Order in 14k Yellow, White, or Rose gold. Special Order in Platinum. 14k Gold Fancy Scroll wedding band. Beautiful wedding band measures 4mm in width and is available in a variety of whole and half sizes. 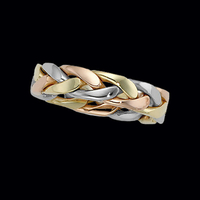 Order this gold wedding band in 14k white, yellow, or rose gold. Also available in Platinum. 14k Gold Wheat pattern wedding band. Beautiful wedding band is available in 2 widths, a 3mm (price shown) and larger 5mm wide. 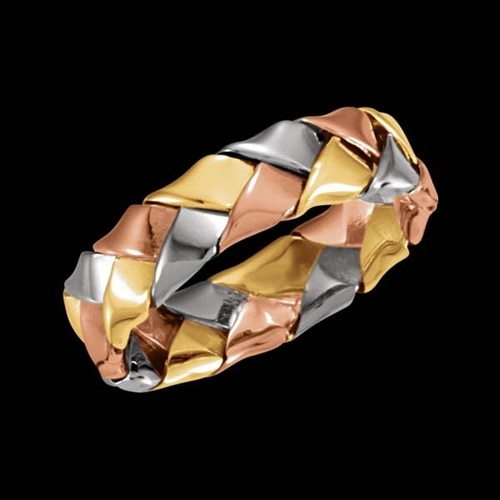 Order this gold wedding band in 14k white, yellow, or rose gold. Also available in Platinum. 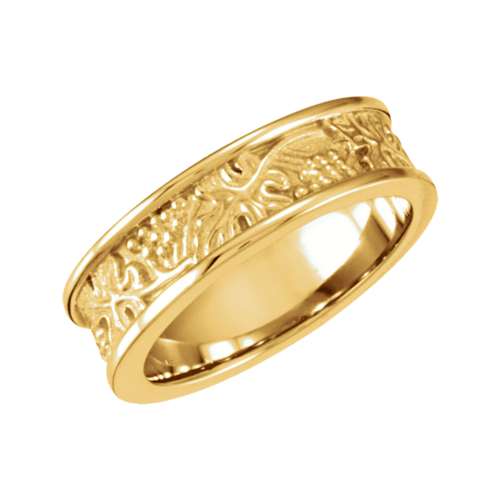 Finely crafted 14k gold floral scroll design wedding band. This wedding band measures 8.5mm wide and our price shown is for the size 5 weighing about 10 grams. This custom ring is available in 14k yellow, 14k white, and a combination of the two. Antique design 14k gold scroll wedding band. Classically designed this wedding band is available in a variety of widths. Our price shown is for the 6.5mm wide size 5 weighing about 8.4 grams. Additional widths include 7.5m, 8.5mm, and a 9.5mm wide band. Email for additional pricing. 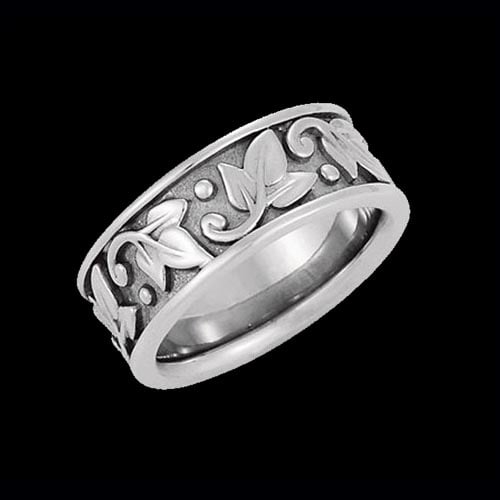 Lovely hand crafted antique scroll design wedding band. Wedding band price shown is for the 7.5mm wide version in a size 5. Additional widths include 8.5mm, 9.5mm, and a wide 10.5mm. 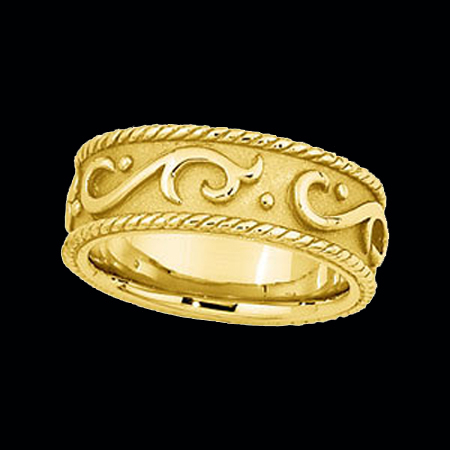 This ring is available in a variety of 14k gold metal choices. 14k Yellow gold, 14k white gold, 14k yellow border, white center, yellow inside band, (ywy) and 14k White border, yellow center, white inside band (wyw). It's your ring, you decide how it looks. 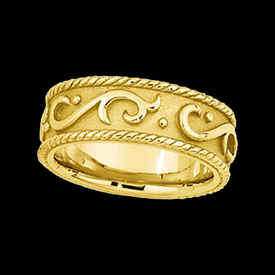 Beautiful 14k Gold Hand crafted scroll design wedding band. This wedding band measures 7mm wide and our price shown is for the size 5. This ring is custom made to order and available in a large variety of sizes in 14k Yellow or White gold. This wedding band weighs about 9.2grams for the size 5. Fancy 14k gold polish and satin designer wedding band. 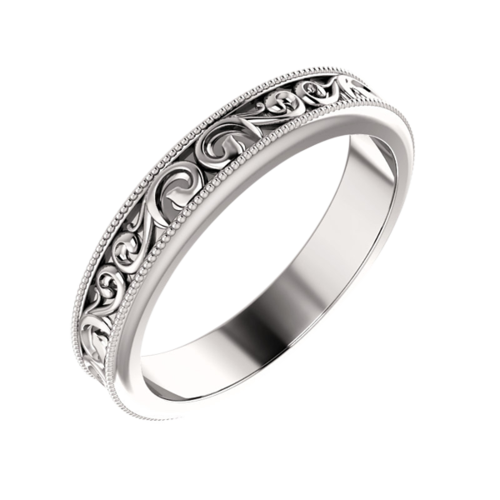 This beautiful ring design is available in 14k Yellow, Rose, or White gold. Ring measures 8mm wide and our price shown is for the size 6. Custom order this ring in your perfect size and color. Size 6 weighs aprox. 9.5grams, a substantial ring. 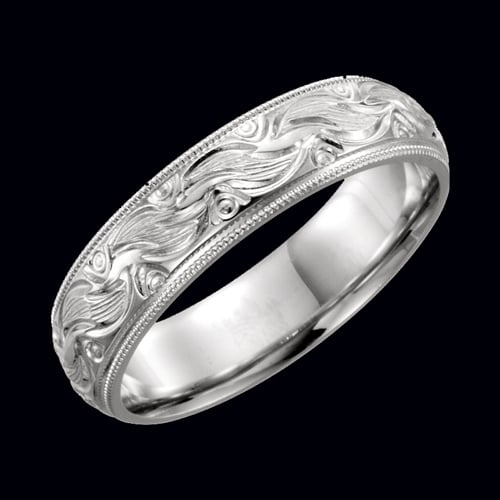 Stunning 14k White gold hand-engraved wedding band. This wedding band is a comfort-fit design that measures 5.75mm in width. Our price shown is for the size 7. Some sizes may take up to 6 weeks. Gorgeous 14k gold hand-engraved wedding band. This comfort fit wedding band style measures 6mm in width features a milgrain edge. Band measures 6mm all around and can be ordered in 14k white or yellow gold. Some sizes will take up to 6 weeks to create. 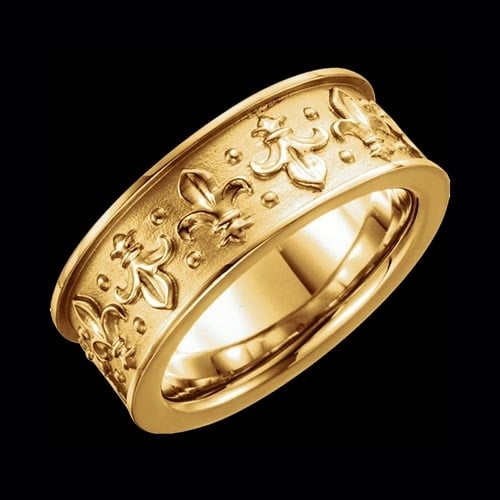 Stylish 14k gold Fleur-de-lis wedding band. 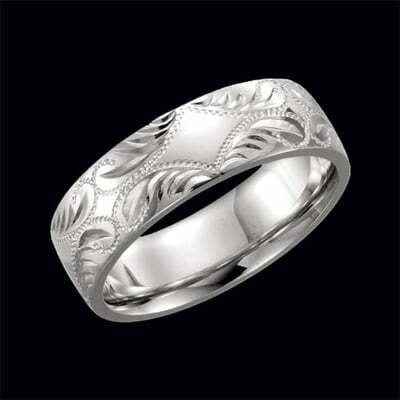 This wedding band measures 7.75mm wide and our price shown is for the size 5. Additional sizes available up to 8. Lovely 14k White or Yellow gold Leaf design wedding band. Wedding band measures 8mm in width, a beautiful nature inspired style. Our price shown is for the size 5 up to a size 8. 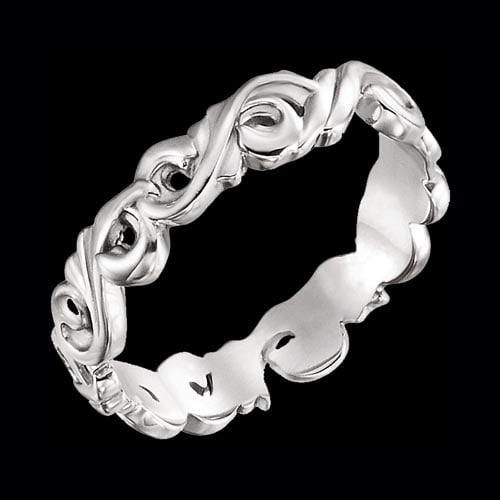 Gorgeous Sculptural Scroll design wedding band. Band measures 3mm wide and our price shown is for the size 5. Order this ring style in 14k white or yellow gold. Additional sizes up to 8 1/2. Very nice solid ring. Beautiful 14k gold engraved leaf wedding band. This incredible artistic design features an engraved leaves in a continuous pattern around the ring. Band measures 6mm wide and our price shown is for the size 5 weighing about 6.03grams. Order this band in 14k yellow or white gold. Additional sizes listed below up to a size 8. Lovely 14k Gold Decorative wedding band. This band is available in 14k Yellow or White gold. Measures 7.25mm wide. This gorgeous ring features an embossed scroll design and a raised rope design border. Very pretty ring. 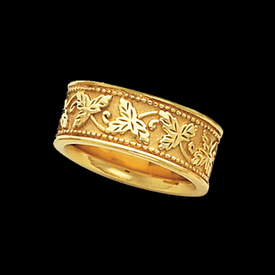 Lovely 14k Yellow gold Leaf design band. This band measures 8.5mm wide. Beautiful continuous design incorporates the leaf pattern with a bead trim design on top and bottom. Available in a variety of sizes. Free engraving on this ring. Gorgeous Sculptural Scroll design wedding band. Band measures 5mm wide and our price shown is for the size 5. 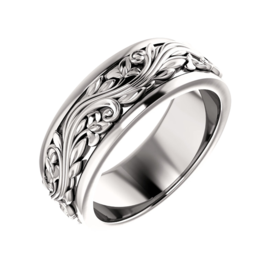 Order this ring style in 14k white or yellow gold. Additional sizes up to 8 1/2. Very nice solid ring.